This card was created based off of this week's challenge at Paper Smooches - Cool Shades. I recently purchased a few sets/dies and I just love them! They are so addicting! 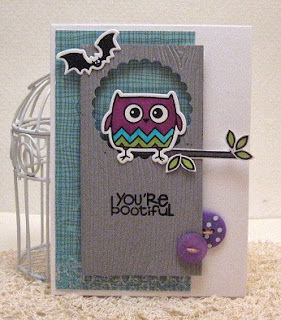 Adorable...love the little window you created for the owl! What a darling card! I LOVE owls! And, he is too cute with those chevrons! Fab design and colors, too! So sweet. I love your layout. How cute! LOVE those buttons! Sorry I'm a bit late - but thanks for playing along with us at Paper Smooches!!! WOW! This is a FAB card design (totally pinning it!!!)!! LOVE your use of these colors- LOVE this card x10000000! 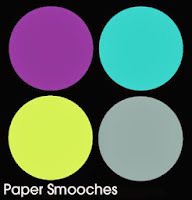 THANKS so much for joining in the fun and playing along with us over that Paper Smooches SPARKS challenge!